Shane Cragun and his partner Kate Sweetman, who sent the message on LinkedIn, set out with the idea of working on leadership. The question in their mind was the following: In a world where we talk about technology, digitalization, and Industry 4.0 so often, our leadership development programs fall behind the age and leadership remains at 1.0. What are the new generation leadership competencies and how do we prepare the leaders for these competencies? They had prepared a set of competencies that the new generation of leaders should have, they wanted to prioritize among them and include new skills according to their feedback. For this purpose, I was involved in the GAC150 (Global Advisory Committee 150) which was formed by 150 participants from 40 countries. 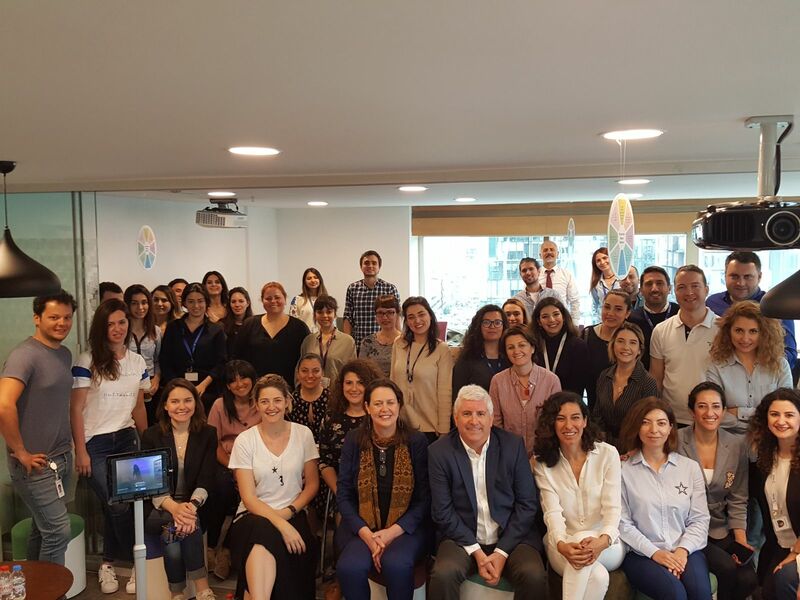 I shared my opinions on the set of competencies they had communicated, I met with our leaders in Danone and got their comments, and organized focus group works with our employees. I share the feedback I have received in a report with Kate and Shane so that was our contribution to research as Danone Turkey. Today there are many leadership models and dozens of books on them. The most diverse aspect of Shane and Kate’s work is its inclusive side and the diversity of its members. 150 people working in various companies, sectors and areas from 40 different points in the world are conducting a comprehensive study and the results achieved in different countries are incredibly common. A CEO from Spain, a government official from Venezuela, an HR director from China … They all say similar competencies will come to the forefront, and these comments are based on data. In this respect, I believe that the results of the Leadership 3.0 study are realistic and will have an impact. Kate and Shane’s work will continue until the end of 2018 and will be released in 2019. For now, outstanding competencies are divided into five main headings, each leading to both leaders and companies. Let’s see what will change until 2019 and how a model will emerge.